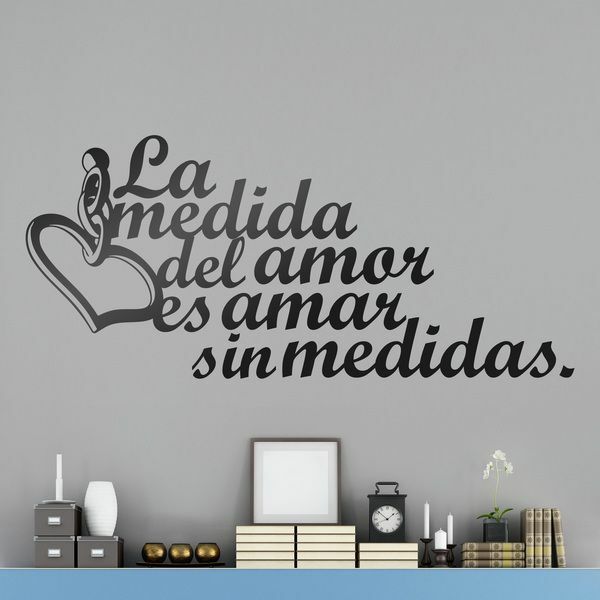 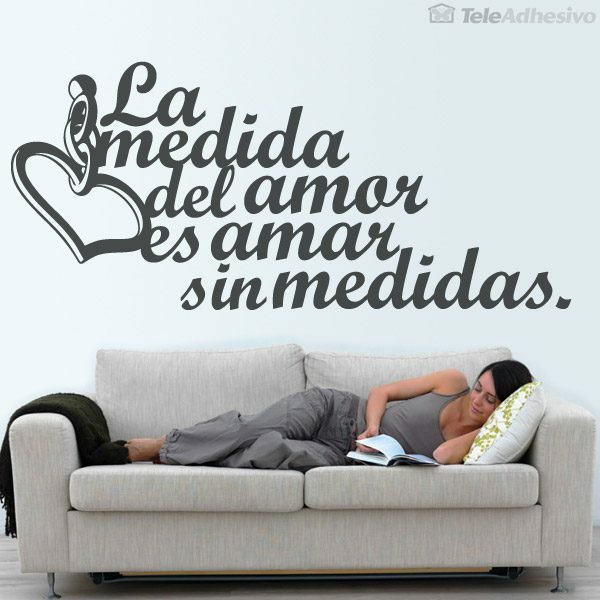 Wall decal Amar sin medidas. 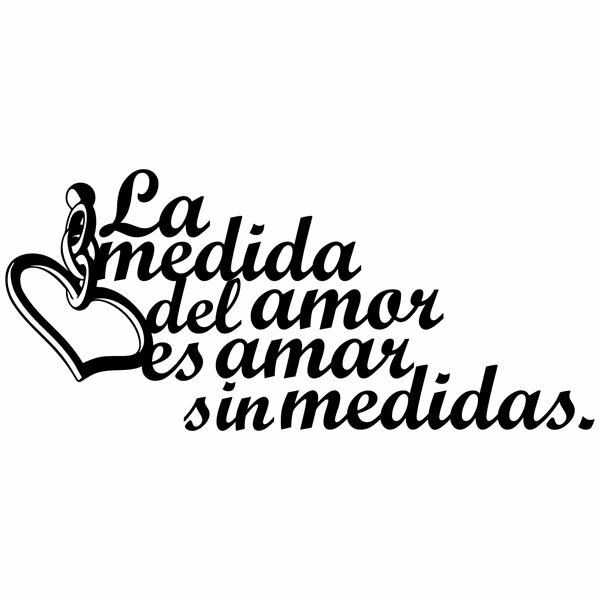 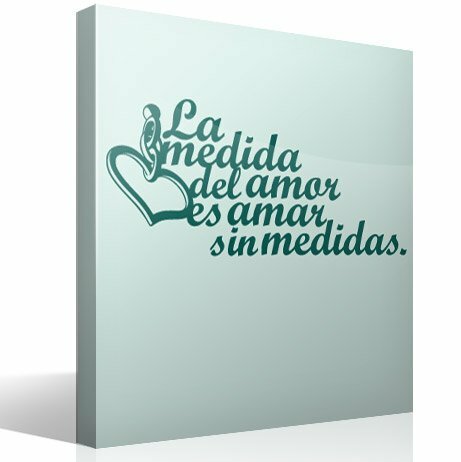 Typographic design about love, with the text in Spanish: The measure of love is to love without measures. 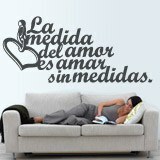 To the left of the text we can see an iron heart with a welded chain. 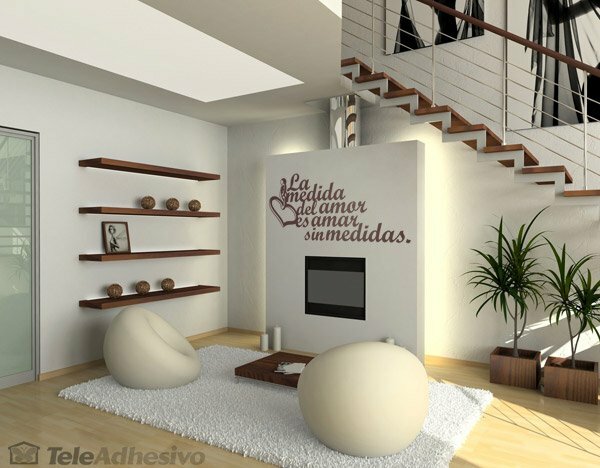 Ideal to decorate any room in your house with your partner. 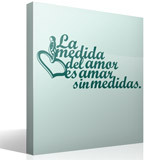 Size: 24 x 20 cm.